You won't find any national chains here, so every purchase is a refreshing new find. And yes, there is a painting of House Mountain in every other store. But really, why not? It's gorgeous. Indie-owned clothing shops sell a range of styles, from posh women's attire and preppy college duds to rugged outdoor apparel. Stores selling kitchenware and home décor celebrate the best of the South while gift stores give a nod to W&L and VMI with paintings and memorabilia beloved by students and alumni. 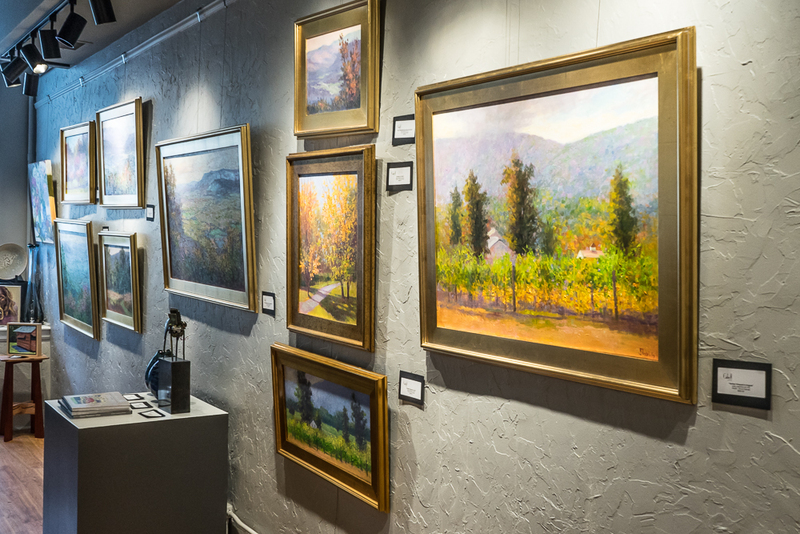 Artwork in downtown galleries has a local spin, with paintings of our mountains and country landscapes leading the charge. But art gets funky, too. Found-art sculptures, unique pottery, and one-of-a-kind note cards lure visitors for a closer look. And ladies, if you really love Lex, pop into Artists in Cahoots for cool earrings fashioned after downtown's patterned bricks. 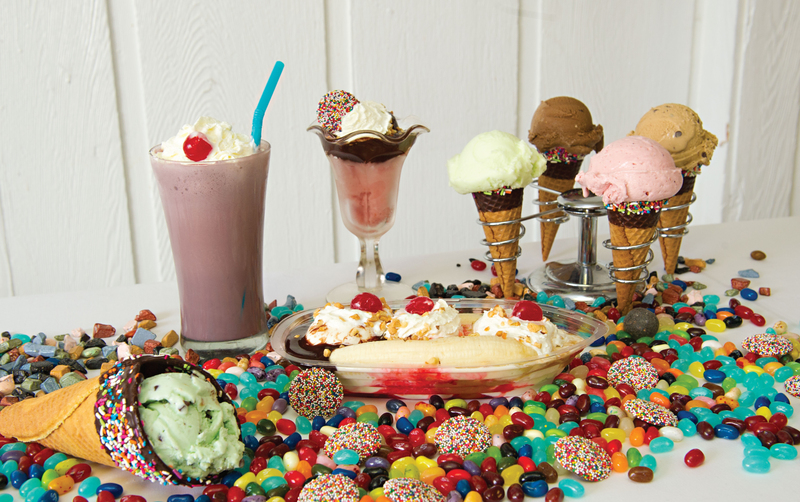 Craving sweets? Stop by Cocoa Mill Chocolatier for truffles, chocolate bark, and chocolate-dipped fruits. The homemade Oreo ice cream at Sweet Things Ice Cream Shoppe is a county-wide fave and the hand-rolled waffle cones are a tradition for more than 30 years. And yes we know, gelato wasn't created in Virginia, but they do it oh-so-right at Pronto Caffe & Gelateria. Other downtown shops spotlight artisanal cheeses, locally ground coffee, Celtic goods, and whimsical treasures. 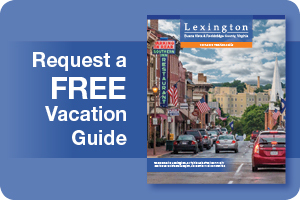 A dozen antique stores are scattered across Rockbridge County, with several clustered in downtown Lexington, Fairfield, and Buena Vista. What treasures will you find? Glassware, vintage lighting, Civil War memorabilia and 17th and 18th century furniture are readily at hand. Oh, and plenty of kitschy keepsakes. 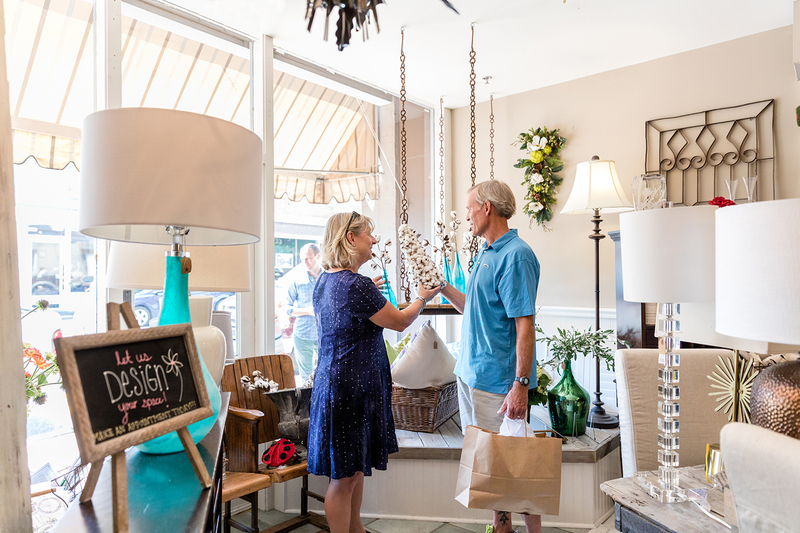 For one stop-shopping, head to Route 11 where you can wander the 40,000 square foot Antique Mall or peruse antiques from more than 200 dealers and consigners at Duke's Lexington Antique Center. To find something beautiful and treasured while shopping downtown Lexington, stop in to Yesterday Once More. Their owners also specialize in furniture refinishing. If you see a country store while driving the county's back roads, pull over. There's no guarantee what you'll discover, but that's just part of the fun. 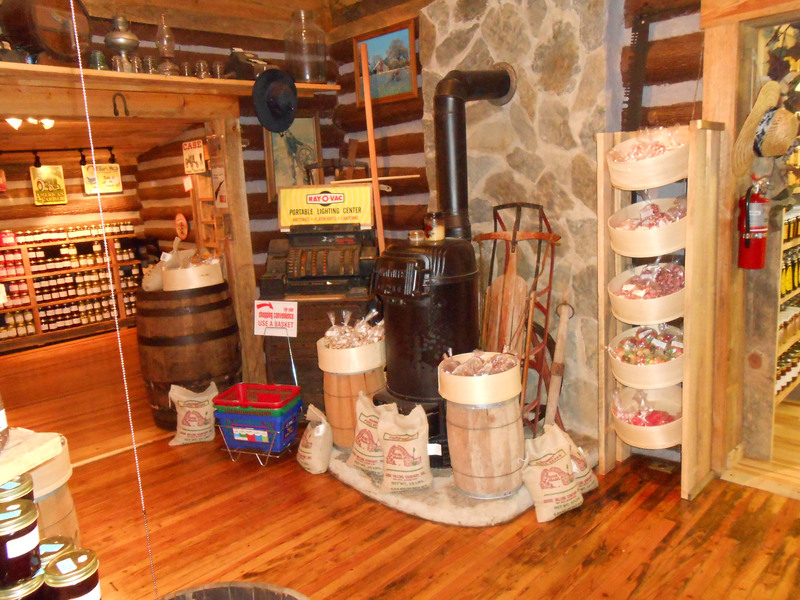 Possible finds include "vintage" candy, local jams and jellies, beef jerky, hoop cheese, deli sandwiches, and maybe, if you're lucky, live fish bait sitting beside the Cheerwine in the cooler. Perhaps country stores are your mission. If so, seek out Layne's, Natural Bridge General Store, or Gertie's! Dine well! See our RESTAURANT DIRECTORY.